I just discovered this show called “Hero AAAA – A Game Show that You Can Watch and Kinda Get Even if You Have Zero Gaming Knowledge” 『勇者ああああ〜ゲーム知識ゼロでもなんとなく見られるゲーム番組〜』. You might like it if you like video games and Japanese variety comedy. No subs as far as I’m aware (the show is only 1 year old). The show is produced by Square Enix. It’s quite different from game center cx though, which is to me 80% gaming and 20% comedy. This show is more 70% comedy, 30% gaming, even though the whole show is firmly video game-themed and the MCs are much better gamers than Arino of GCCX (they also make references to gaming culture than only gamers would understand). Also, GCCX is pretty family-friendly while this show has a more “bro” feel to it (it’s a late night show, for one). Miomio.tv has better uploads than pandora.tv. An episode on pandora.tv I found had the video start 1 minute into the show while miomio didn’t have that issue. An example of a show (using the first ep): in the first segment, the MCs and some guest comedians play a “challenge” from a video game. 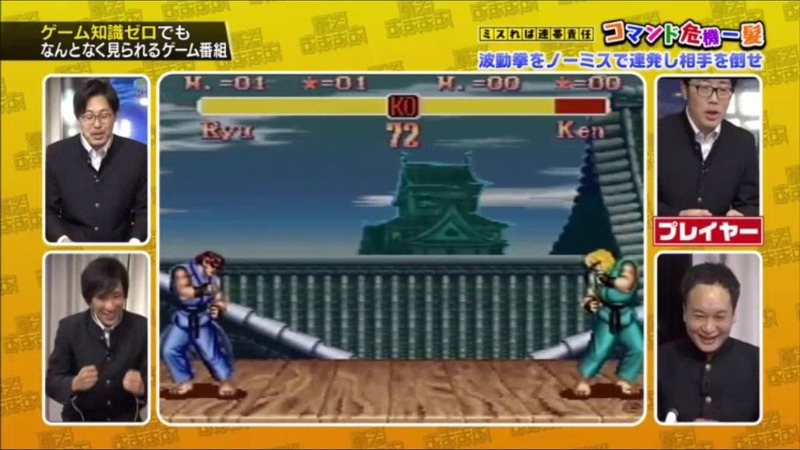 In the first ep, they taken turns trying to successfully do a “hadoken” in Street Fighter II 9 straight times. If they fail at any point, they get (mildly) electrocuted, batsu game style. In the second segment, they bring in entertainers who claim that video games is a hobby of theirs. Alco and Peace comically grill them on their gaming knowledge to expose them as fakes (who don’t really know about gaming) or authentic. In the third and final segment, comedians perform video-game themed skits. The first segment where they play the challenges probably need no subs to understand, but the following segments probably do. It’s a different take on video game-themed comedy than GCCX, and it’s pretty hilarious. across a section of the level. 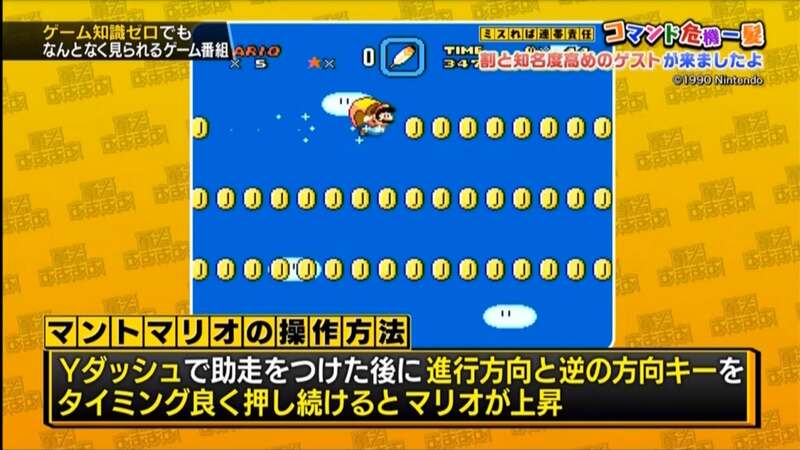 I remember this skill as being one of the harder things to do in this Mario game, so it shows that they do bring in comedians who have a certain level of gaming under their belts already. so it’s already been a while, but I would like to summarize it! 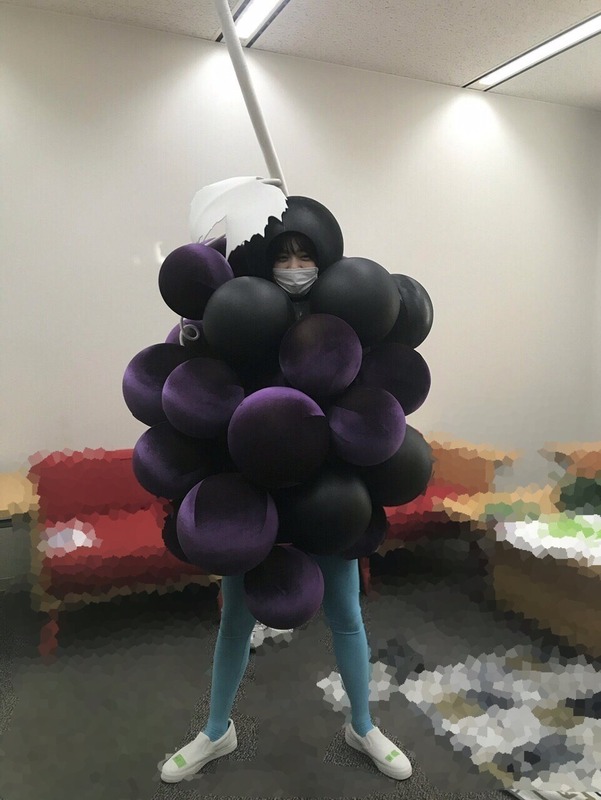 It’ll only be about the segments that Matsumura Sayuri appeared in. being the MCs on the first day! and as the MCs for shows! Do you guys still remember the call for Muhyoujou? so she’s wearing a yodeling outfit! it felt like I was watching over my first grandchild! but above all else, she is a hard-working genius! and also got to see Tulip’s program, too. I also talked to many different members. I was voted 1st as the girl with the most luggage! so I was like, “It’s the Kara-age Shimai~♡” and really happy. but the conclusion was that having 2 bags feels safer. It was hilarious and all of us laughed a lot while watching. they really had us doing the Hyokkorihan. No wonder, for she was bestowed a name!! 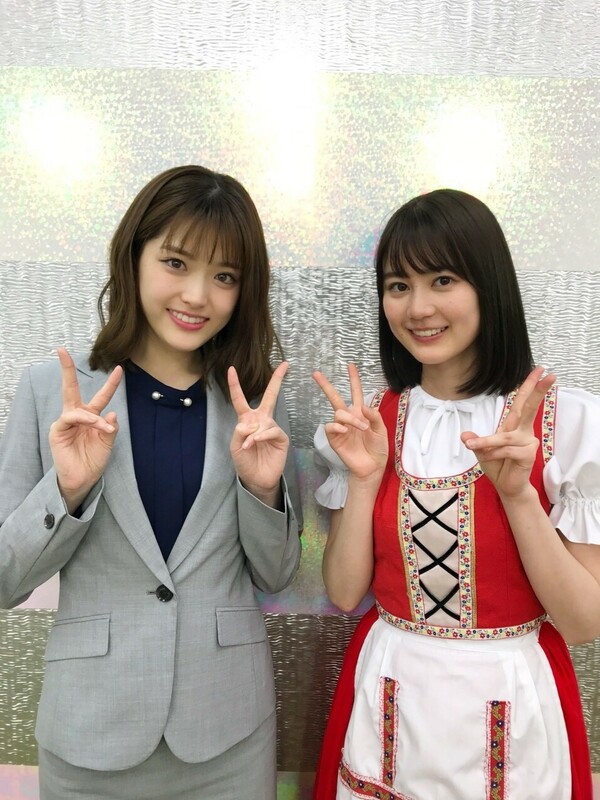 was my Nogizaka viewing game! with Alco & Peace as the game masters giving out directions! Because of the time restriction, we only played 3 games. kept telling the staff that we wanted to played more~! 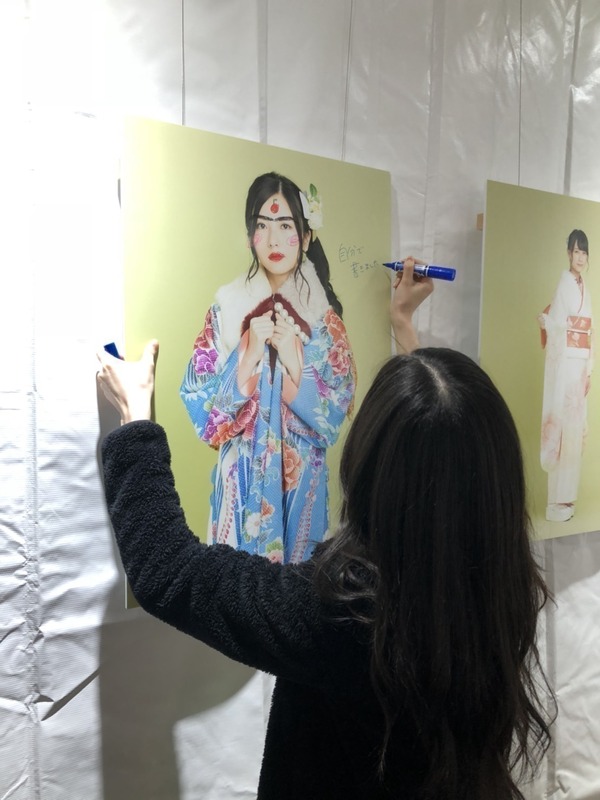 at the photo exhibition at Makuhari Messe​, I graffitied my own photo. 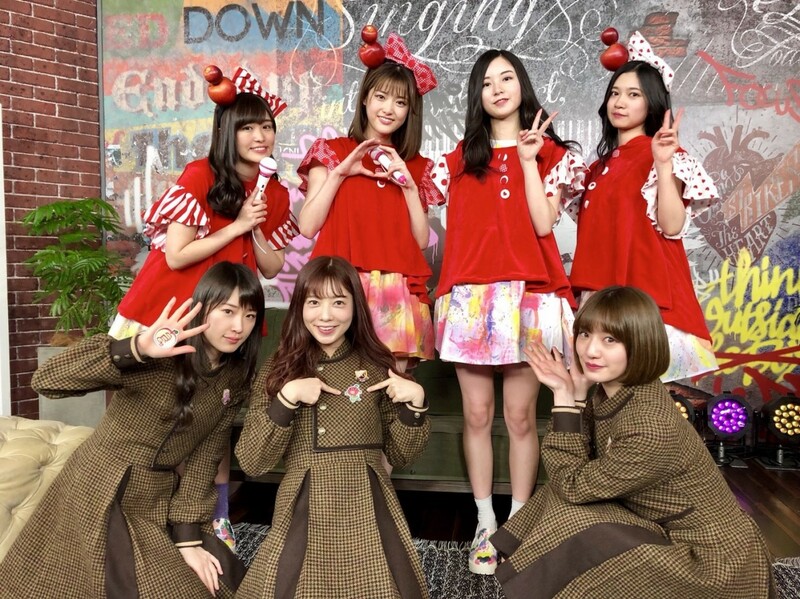 Nogizaka 46 Hour TV Day 2 retrospective! 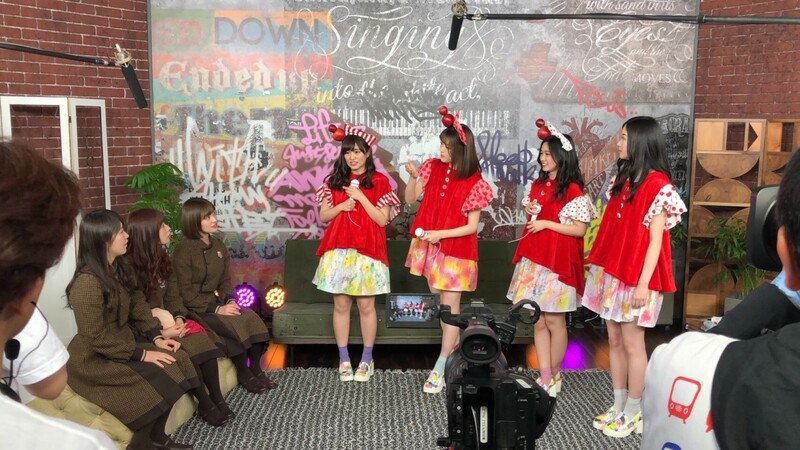 the Sayuringo Gundan Show was aired right from the morning! We are indebted to Rakuten TV-san! 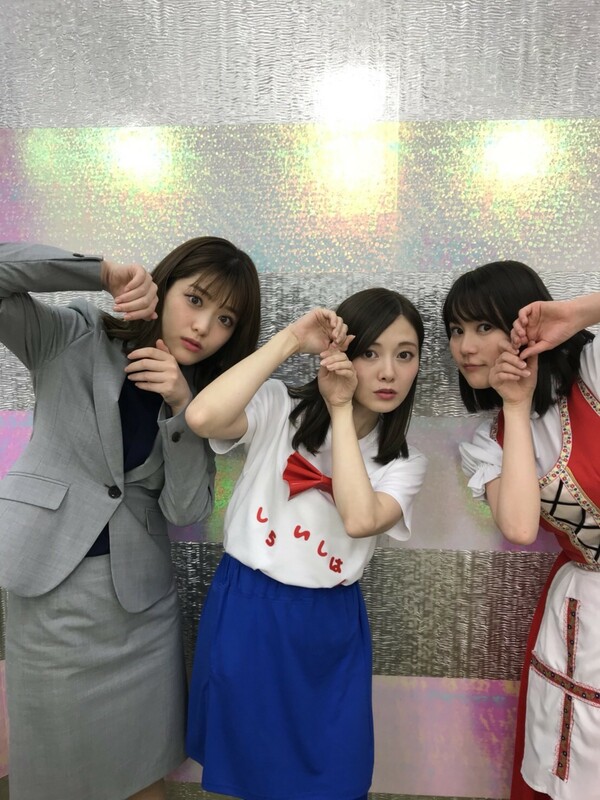 and did a Sayuringo Gundan pre-announcement show! showed Sayuringo Gundan parody songs! Thank you for sending in so many game suggestions! We made MVs for these 2 songs! I searched for and bought all of the oufits myself~! the MVs turn out really wonderfully. It made me think how grown-ups amazing. the Sayuringo Gundan Elite Guards. 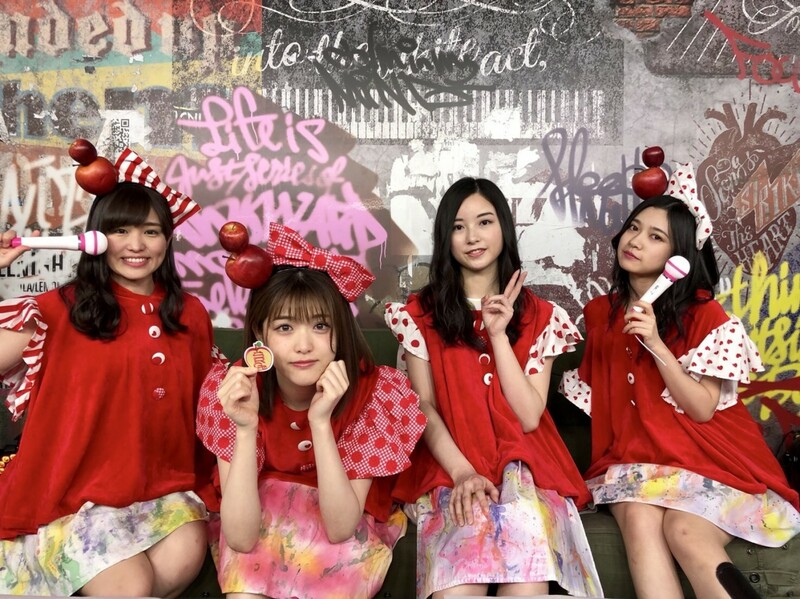 Takayama Kazumi joined as welll! 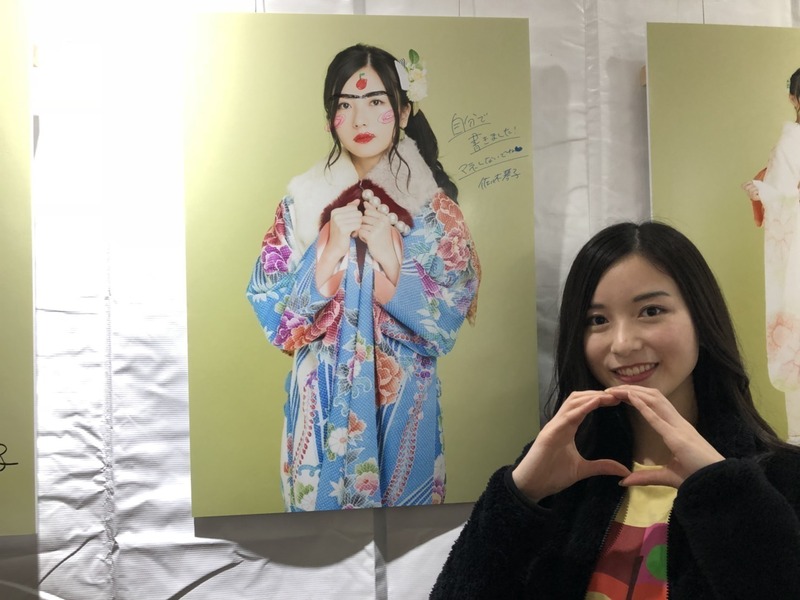 Nakada Kana is a Kenkyuusei! were so cute, I was amazed. An annoying sort of cuteness. No, no, they were very cute. a Sayuringo Gundan Mini Live as well! the parody 「Ringo no Pakuri Kara」! To the people who gathered to watch us, thank you! Also, the kenkyuusei Nakada Kana-san! to come to the venue. she held up a board with the response call for the song and led the audience so that people who don’t know it can follow along. she was running around and jumping up and down more than anyone else. and actually giving lots of advice when we get stuck! 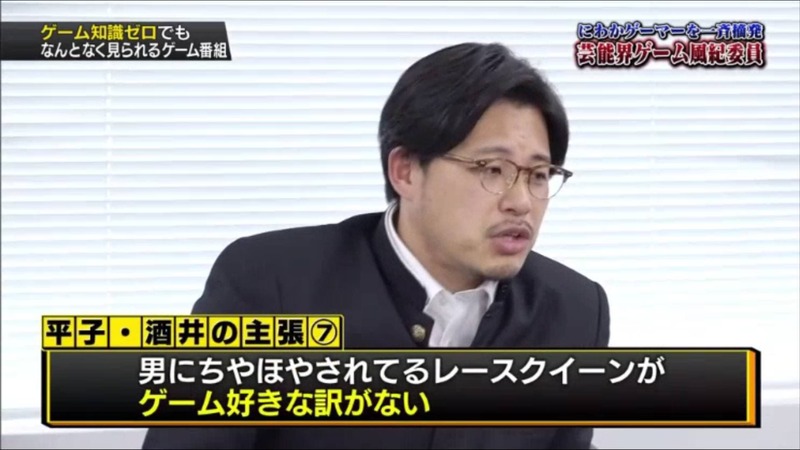 Everyone always says, “We’re good with whatever the gundan leader wants to do,” and it really makes me feel safe. Every one of us gets worried at times. Wait, is this gonna be all right? and everything will be resolved! When I am wrong, they will tell me that I am wrong. When it is okay, they will tell me that it is okay. They are such wonderful gundan members! Congratulations on your graduation Mahiro! and at Hatoya Hotel it Itō. No, please do take a look! Around the time I began as a Non-No model, I started writing a column called Nanaserufu as well, so those columns I wrote until now are all included. It will go on sale on May 9th. I appeared in a sunscreen CM! I’ve actually used this product from a long time ago, so I was really happy. Oh! There are UV rays in the spring too, so everyone please do put on sunscreen. It is light and comfortable to use. It was kinda different than the usual, so it felt fresh! It will be on sale on April 24th. It was an honor to meet Koganehara-san! It will air on April 6th. Today is the last episode of Video Girl Ai! By the way, the design for my individual towel merchandise borrows from the design of the script for Video Girl Ai. The choreography is difficult, but it is fun dancing to it! The coupling song is something that I have always wished for, a 1st gen song! So happy. This is a personal affair, but my beloved dog, Mugita, has passed away. Thank you for the 18 years. whenever I go back to my family’s home. I wonder if Mugi was happy? While he’s no longer physically here, I think he will be watching over my family. As I am typed this out, I reminisced and felt sad and had a hard time continuing. I’m still kinda feeling it so I’ll stop here. Just wanted to make the announcement. Please continue to support me this April! Gaku Tabi! ep2 second extra! Watch as Takayama and Hoshino try archery for the first time in their lives.